This is a synthetic 16 plait bull hybrid whip constructed with a leather shot bag core, leather bolster and single or double plaited synthetic bellies. 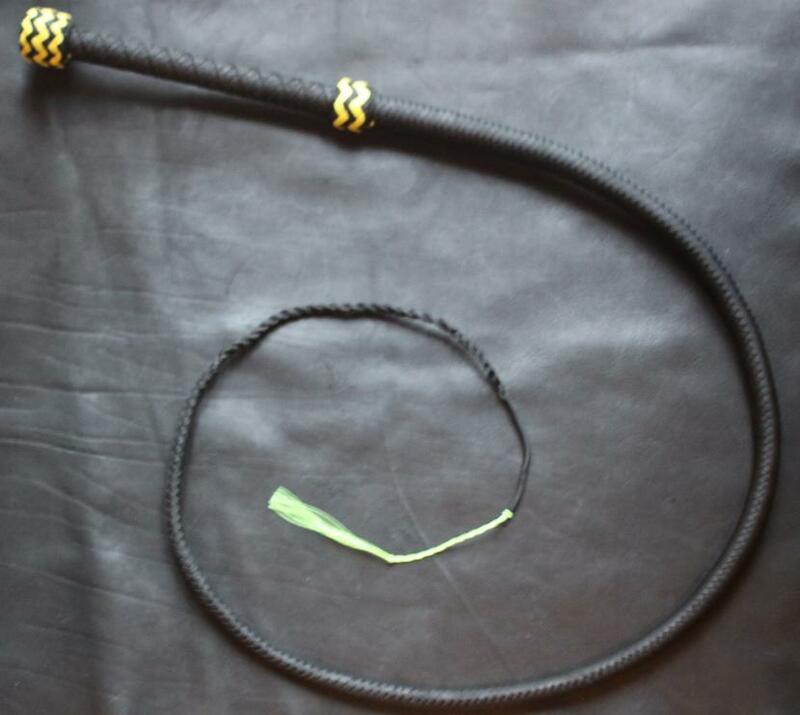 This whip features a ‘cow whip’ style twist instead of a fall. A single 10 plait belly over a leather shot bag and leather bolster, giving a slimmer, lighter whip with a slimmer handle (approx 20mm in diameter). Finished with a 16 plait overlay. A double bellied whip, plaited over a leather shot bag and leather bolster, giving a thicker, heavier whip with a thicker handle (approx 25mm in diameter). Finished with a 16 plait overlay. Be the first to review “7-12 Foot Premium Bull Hybrids” Click here to cancel reply.